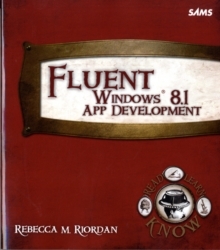 "Riordan covers core skills for any developer-database design and development-in a perfect amount of detail. 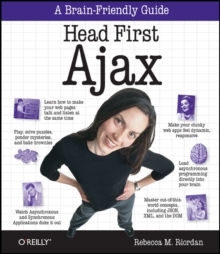 This book should be on every professional developer's reading list. "-Duncan Mackenzie, developer, Microsoft (MSDN)"Designing a database is not a trivial subject. 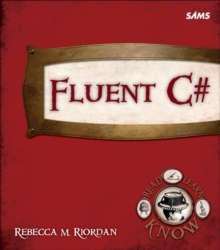 Riordan brings experience and clear explanations to a fundamental part of software development. 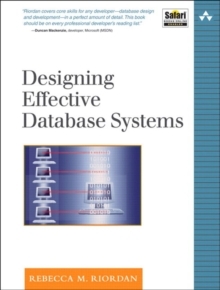 "-Patrick Birch, database and technical writing consultant"If you buy only one book on database design, make it this one. Riordan has a talent for explaining technical issues in simple language, without over simplifying. "-Brendan Reynolds, developer, Dataset IT Systems and Microsoft Access MVP"A book that will expertly guide you in how to develop a database for a client- and how to do it right the first time! 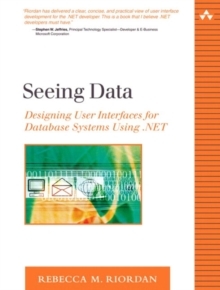 "-Kenneth D.
Snell, Ph.D., ACCESS developer and Microsoft Access MVP "Riordan has produced a unique book that brings together a formal, yet commonsense, approach to relational database design...and then goes further! Many database designers will find immense value in the steps to developing practical data warehouse designs. If you are seeking a framework for designing transactional databases, or want to step out into the world of analytical databases, Riordan's book excels at bridging both worlds. "-Paul Irvine, vice president, engineering, Via Training"Riordan takes a complex subject and makes it easy. If you're over your head on a database design project, this book will help bail you out! "-Mike Gunderloy, contributing editor, Application Development Trends"This book covers a wide range of database design and data modeling topics in a well-organized, easy to understand format. "-Amy Sticksel, Sticksel Data Systems, Inc."In Designing Effective Database Systems, Riordan's style, wit, and attention to detail are outstanding. "-Sandra Daigle, Microsoft Access MVP The Software Developer's Step-by-Step Guide to Database DesignWorld-renowned expert Rebecca M.
Riordan has written the definitive database design book for working developers who aren't database experts. No matter how messy or complex your data challenge, Designing Effective Database Systems shows you how to design an effective, high-performance database to solve it. Riordan begins by thoroughly demystifying the principles of relational design, making them accessible to every professional developer. Next, she offers the field's clearest introduction to dimensional database modeling-practical insight for designing today's increasingly important analytical applications. One task at a time, the author illuminates every facet of database analysis and design for both traditional databases and the dimensional databases used for data warehousing, showing how to avoid common architectural pitfalls that complicate development and reduce extensibility. The book concludes with comprehensive, expert guidance on designing databases for maximum usability. This book will teach you toUnderstand relational database models, structures, relationships, and data integrity principles Define database system goals, criteria, scope, and work processes Construct accurate conceptual models: relationships, entities, domain analysis, and normalization Build efficient, secure database schema Master the elements of online analytical processing (OLAP) design: fact tables, dimension tables, snowflaking, and more Architect and construct easy, efficient interfaces for querying and reporting Learn from practice examples based on Microsoft's Northwind sample database Riordan has helped thousands of professionals master database design and development, earning Microsoft's coveted MVP honor for her exceptional contributions. Nobody is more qualified to help you master database design and apply it in your real-world environment.